At Angel List, I worked on a feature help candidates understand and connect with the companies they were interested in. I worked with an engineer on product strategy and was responsible for user research and design for this project. Based on metric and demographic data, we sourced a set of Angel List users to understand further the questions and concerns they had about the companies they were applying to. I conducted over 30 in person and video interviews to get a deep understanding of the core drivers of a candidate's job search as well as the relationship they had with the companies they were considering. Our research showed that an important criteria for choosing a job was what their day to day would be like. They also expressed that they had trouble finding that information. 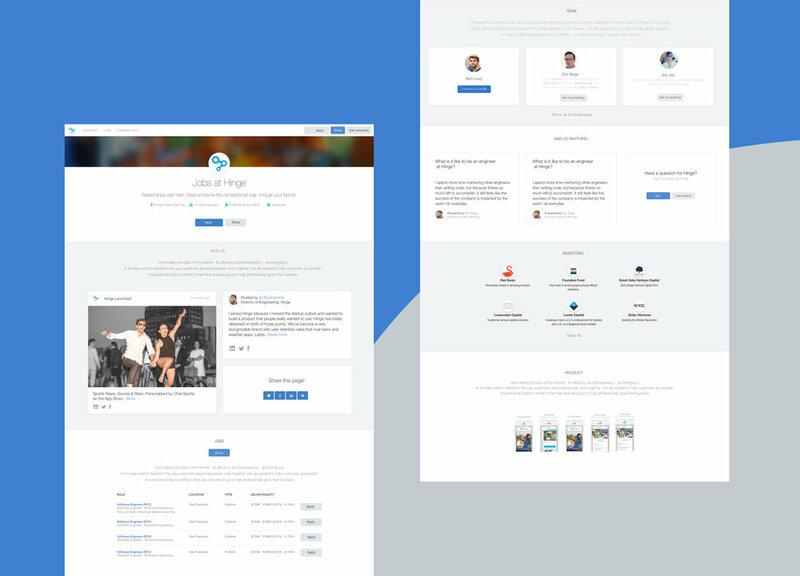 The Job Showcase Feature focused on allowing the company to connect with users by showcasing their culture and milestones. The aim was to allow employees of the company to share what they were working on to give jobseekers a better understanding of what it was like to work at that company. Users also indicated that they had a desire to connect with real employees and learn more about their potential coworkers. I took this cue design a way for jobseekers to connect with employees of the company in a lightweight way and highlighting the current team. 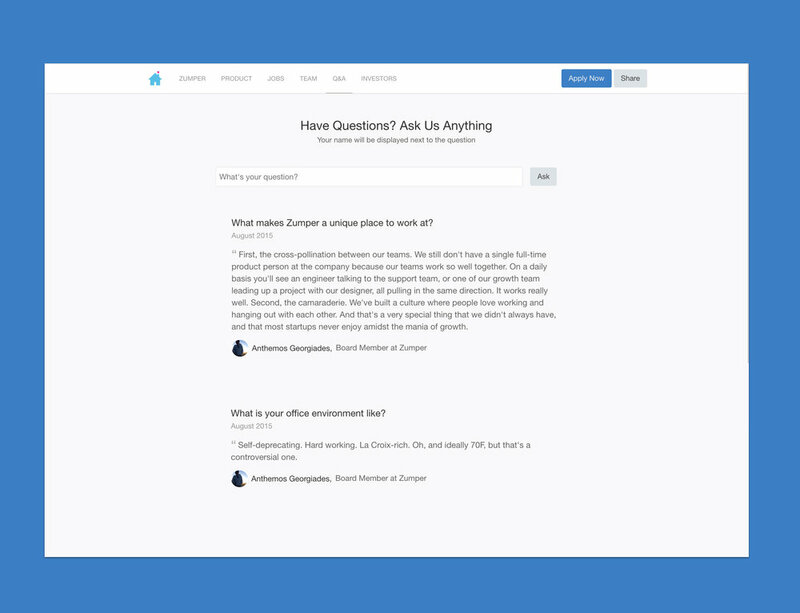 "Ask us Anything" feature allows users to connect directly with employees of the company and ask any questions they may have about the company, creating a repository of FAQ's that could be useful to the larger community.